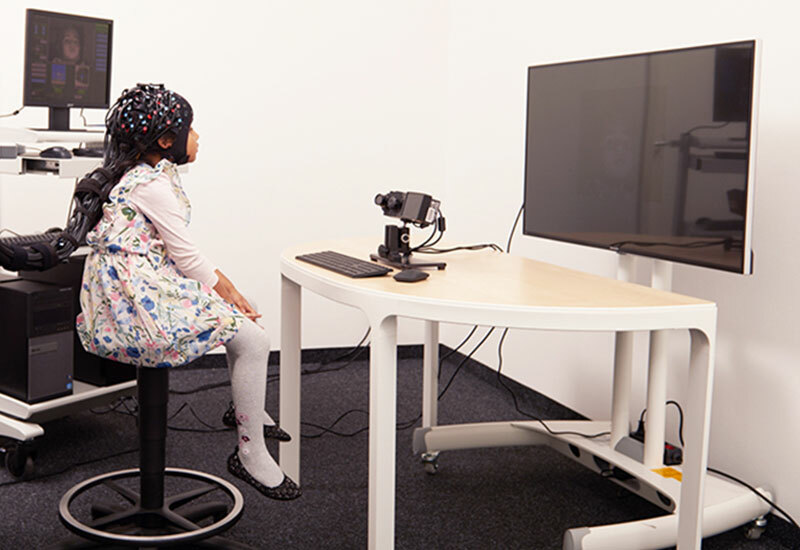 NIRx is a world-leader in providing integrated solutions for fNIRS neuroimaging. 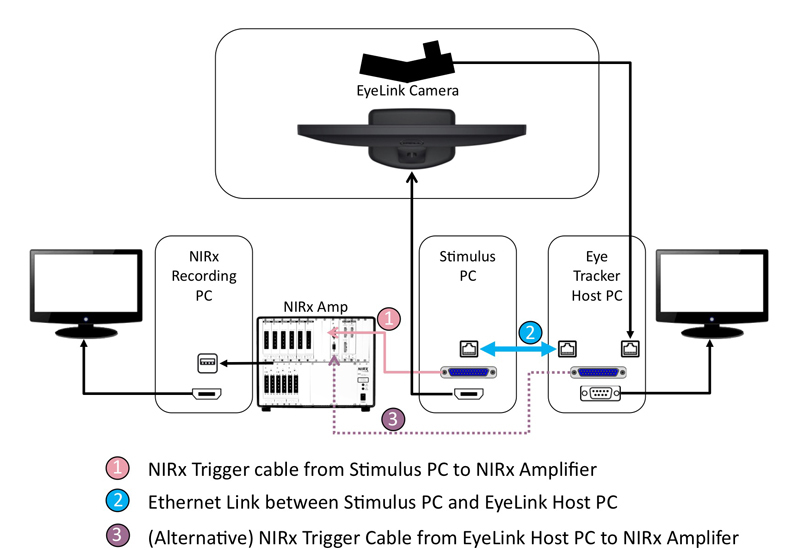 Integrating their hardware with EyeLink systems is very straightforward, and tests conducted at NIRx headquarters in Berlin confirm that, unlike some other infrared eye trackers, EyeLink systems do not create any interference with the NIRS signal. Integration is achieved via standard TTL signaling, typically via a parallel port on the Display PC (although the parallel port of the EyeLink Host PC can also be used). The only other component required is a Trigger Cable (supplied by NIRx). During task performance the stimulus presentation software (e.g., Experiment Builder, E-Prime, Presentation, PsychToolBox, etc.) simultaneously sends TTLs signals to the NIRx equipment via a parallel port cable, and messages to the EyeLink Host PC via an ethernet link. If your stimulus PC does not have a parallel port, commands can be sent over the ethernet connection to the Host PC, so its parallel port can be used instead. The TTLs / Messages mark key trial events (such as stimulus onset / participant response etc), allowing data to be co-registered at the analysis stage. If you have any questions regarding EyeLink-NIRx integration, feel free to contact us. We’re always happy to help.